Pizza Rock Las Vegas had its turn to be reviewed. While in Las Vegas the other day we went to many of our local favorites. We went to Secret Pizza at The Cosmopolitan to begin the trip and slowly worked our way through several others. One of the pizza places downtown that I have heard of for having the best pizza in las vegas was this newer place called Pizza Rock. Pizza Rock is located a block off of the Freemont Street Experience. We actually stumbled upon the place by accident, before we even started looking for it. From the outside, it didn't look like much, but once we entered we were surprised with how big the place was. Pizza Rock has an 11-time World Pizza Champion as a partner, so I was expecting a good pizza here. 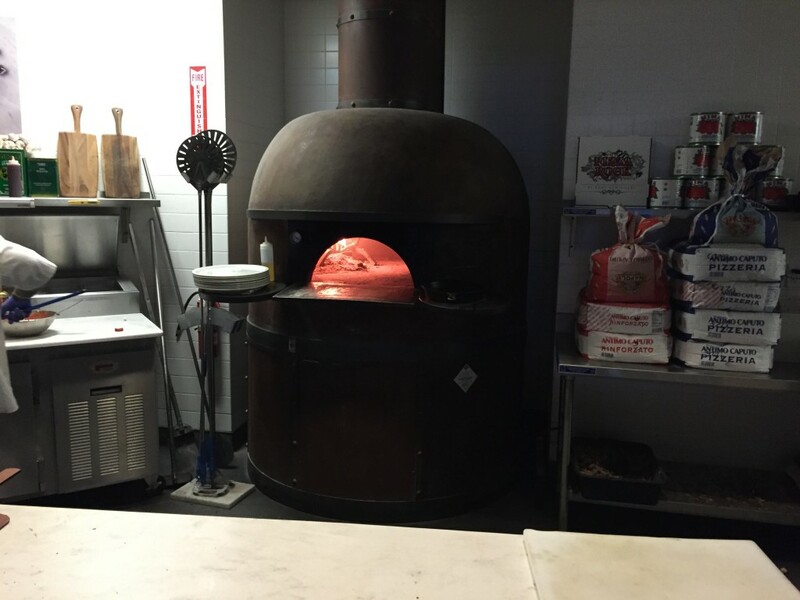 Pizza Rock has a front section where you can grab some expensive slices from a regular pizza oven, and a dining room which contains a wood fired oven. They have 185 seats and a full bar, and based upon the crowd there, I would say this is a favorite place amongst the locals. One of the partners Tony, is from Tony's Pizza Napoletana, in San Francisco which we have tried and enjoyed. Once we looked at the menu, it became evident that it would be next to impossible to try all the pizzas I wanted to in one sitting. Pizza Rock has Napoletana pizzas (using a 900 degree woodfired brick oven), California style pizza, American style pizza (using a gas brick oven), New Haven style pizza (700 Degree Electric Brick Oven), Sicilian Style (cooked in a 500 degree gas brick oven), Chicago Cracker Thin (baked in a 650 Degree Gas Brick Oven), Romana Style Pizza (this pie is cooked in a 700 Degree Electric Brick Oven and $35), and to top it all off, they even have a Detroit Red pizza! As you can see, it is like a pizza nightmare for me, just so many choices and not enough mouths or dollars to get them all. 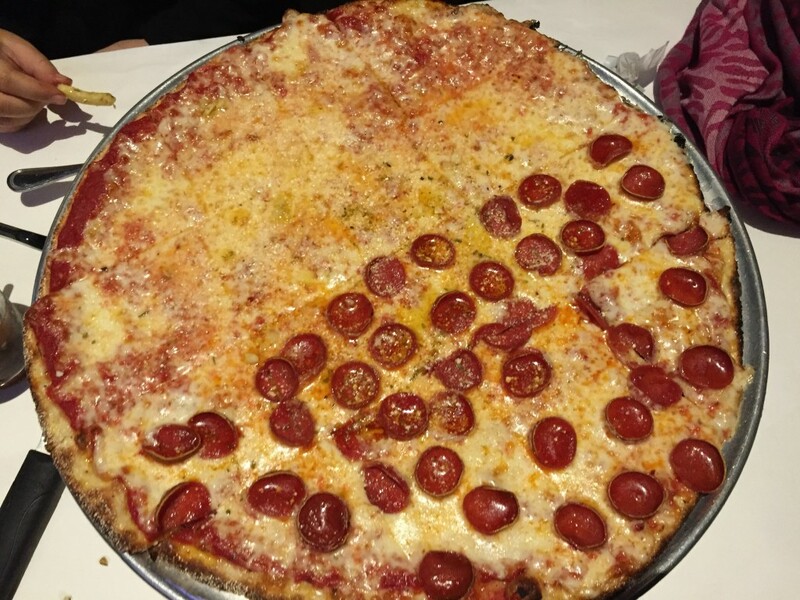 We ended up getting a Chicago Cracker Thin pie with half pepperoni for my dining guest. The pie arrived pretty quickly, especially with the amount of diners in the restaurant at this late hour. 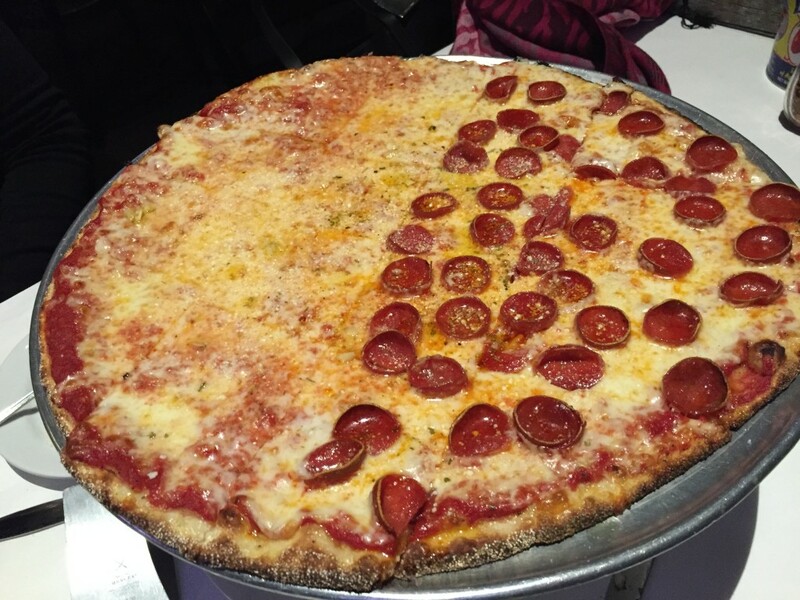 Pizza Rock in Downtown Vegas cuts its pies into square slices, which I actually kind of like. As described, it was very thin and looked wonderful. 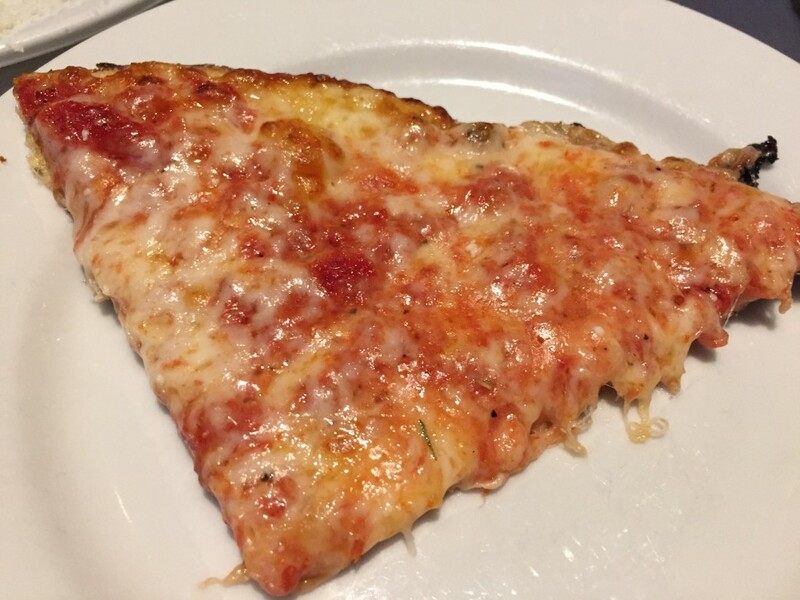 My first bite revealed a super thin and crispy crust, with a nice coating of cheese, which covered a smooth and sweet sauce. This pie was made with care, and it showed. 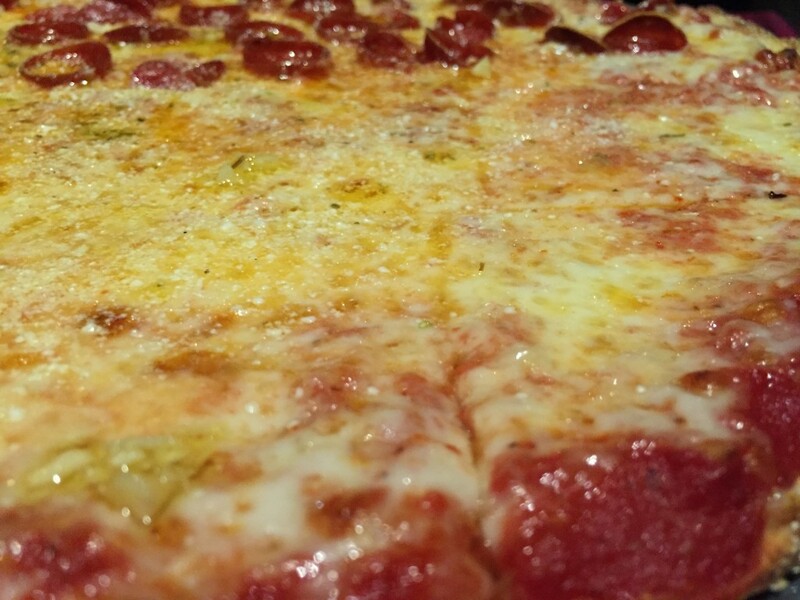 The sprinkling of olive oil made for a wonderful compliment to the pizza. 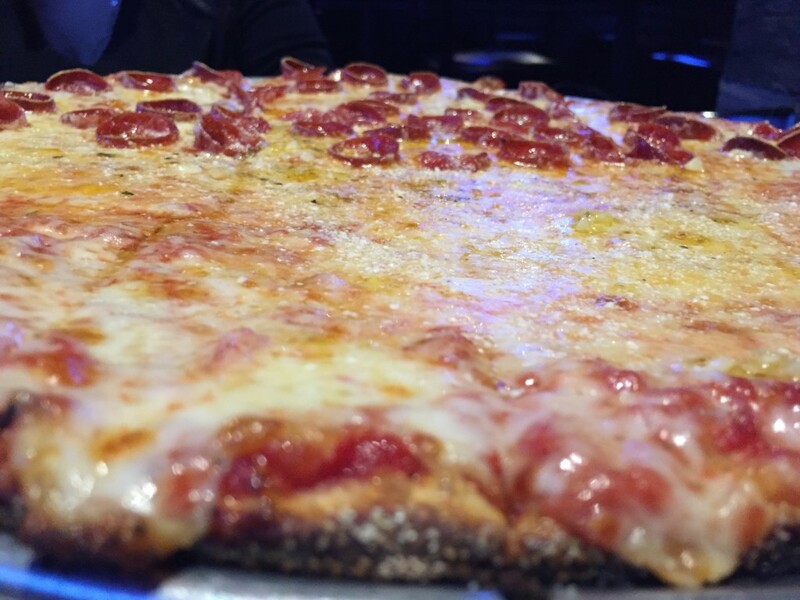 Pizza Rock is one of the best pizza places I have tried in Las Vegas and I would definitely go out of my way to try it again. Next time I will get the Detroit Style pizza, and hopefully arrive with several more friends so we could sample many others as well. Pizza Rock in Las Vegas gets 7 out of 8 slices.